Organic Coffee & Espresso, Ice Cream, Smoothies, Pastries & More! 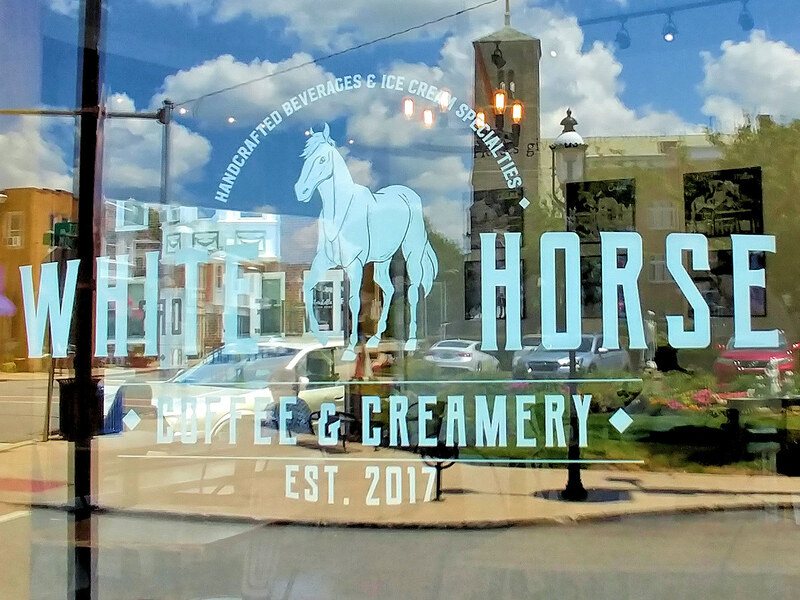 Jenkintown’s new cafe, the White Horse Coffee & Creamery, began as a mobile food truck business serving coffee, handcrafted espresso beverages and soft serve ice cream specialties. The food truck business has expanded to serve weddings, festivals, and corporate and events. Now fans of the White Horse can relax and enjoy organic coffees, smoothies, bagels, pastries, sweets, ice cream, and even sandwiches at the corner of West. Ave. and Leedom St.
Come for the amazing custom coffees and sweets and spend the day walking the quaint shopping district and Piazza On The Square.